We have a large selection of various USB Flash drives including our Personalised USB Men. They come in many different shapes and memory sizes including 64MB, 128MB, 256MB, 512MB, 1GB, 2GB, 4GB and 8GB. Our Personalised USB Men are perfect for storing data from your computer, then taking it to another computer and uploading it. Anything from files to songs. It's basically a portable hard drive. So why not promote your business details upon our Personalised USB Men today? 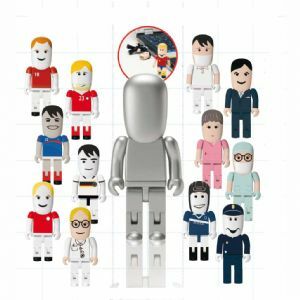 Other promotional and personalised items besides our Personalised USB Men click here. To find out more about our Personalised USB Men click here and fill in the contact form and we'll get straight back to you. Click here to view our entire USB Flash Drive Range.